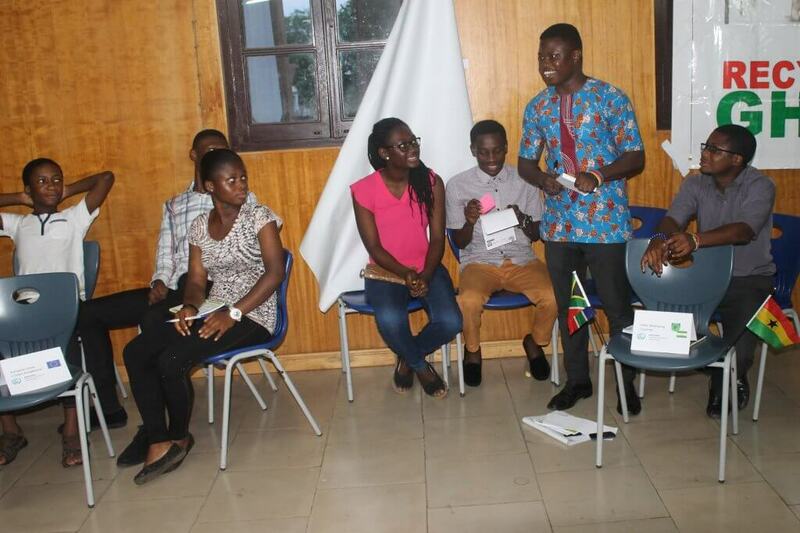 It was during our April World Climate Ambassadors call that I was motivated to organize a World Climate simulation (WC) for high school students in Ghana. To me, it is very essential that young people familiarize themselves with our changing climate and grow up with an ethical mindset to make the world a safer place. At their age, they are less influenced by the corrupt politics of climate change, yet they will suffer the most as a result of the decisions made today. On the 29th of July, I facilitated my first ever WC event for 30 high school students including Opoku Ware School and KNUST Senior High School. To start off the event, I first explained the science of climate change. It was great to know their knowledge level and this session helped bring everyone to the same page prior to the start of the simulation. Students then had a quick recap of the keywords used in the game. These were provided to enable them to reference in a situation where they forgot or when they need to seek clarity. I grouped the students into their various negotiating blocs and then took them through the structure of the event and the timelines. I purposely gave time to interact in their blocs. This provided them an opportunity to think about all they knew about their blocs and how best they could simulate their bloc’s climate policies. That was helpful, the students took pride in the opportunity to simulate as leaders of the various blocs. The way they talked, acted, and perceived things during the simulations were all based on what they have seen (on media) from the leaders of these countries. It was a very interesting moment when the participants stood to announce their commitments. The first round was not a success, I must say. Two blocs, were confused on what the emission stop year and emission decline start year were. China said: Emission stop year 2050, emission decline start year 2032. After a few comments from their fellow participants, they corrected the error. After receiving all NDCs, we had a temperature rise of 2.9 deg C. A projector is certainly good as most people will find it difficult (and time-consuming) handling C-ROADS from a computer or laptop. Let the second round begin! Before I could open round two of negotiations, the EU and US had commenced a debate already. The enthusiasm level was really high for some of the students while for others, it was a bit difficult to engage their peers. I had to step in to challenge everyone to engage in proposing new commitments or negotiating a better deal with other blocs. After about 15 mins of negotiations, I wandered through the blocs to check their progress. I recommended that all participants fall back to their respective blocs and input their new commitments. In about 30 mins, negotiations were over and our new NDCs were ready. The most famous bloc was US. Although they played the role of President Donald J. Trump, the bloc had a fair commitment which took the global temperature to 2.5deg C. The speaker of the bloc did a great job by explaining why their commitment wasn’t as strong as others expected. The Other Developed countries bloc was easy going, they were the most flexible and realistic. Other Developing countries, India, and EU also did a great job with a full commitment to afforestation and REDD. 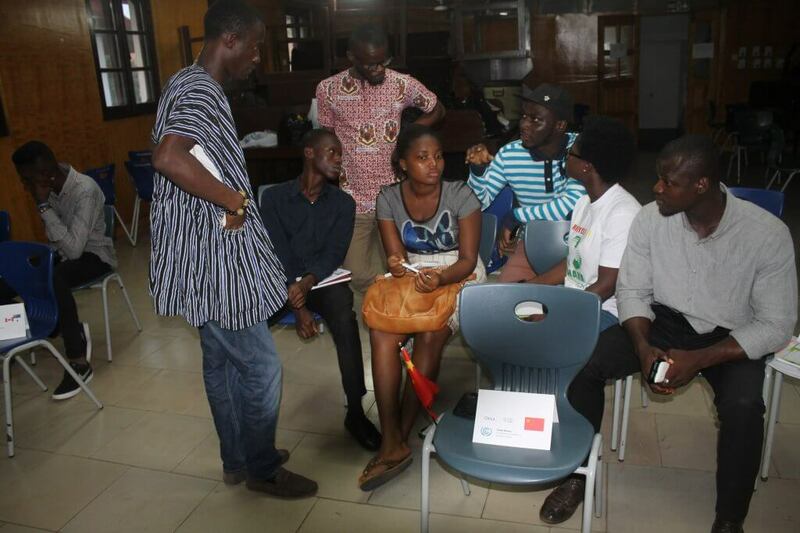 During the debrief session, it was obvious that participants had little to no understanding on climate change before the event. For most students, the common comment was “This is my first time participating in an event where I have to act like a president or a leader of a nation”. Some students expressed the difficulty associated with agreeing on a deal when members of the bloc had different perspectives. More so, the students highlighted that the event was a practical exercise for them to understand the urgent need for everyone to act on climate change. Moving on, the students are planning diverse environmental initiatives (including a campaign to push for the replacement of single use plastic bags with paper bags) as a way of contributing to climate action. My next WC event is in the third week of August, and I will be holding it for about 30 high school students in Cape Coast, between ages 14 and 18 years. After facilitating the upcoming event and gathering more experience with high schools, I will be writing up the top 5 tips to facilitating a WC event with young students and how this might motivate them to take action.